Terre à Terre is proud to present its second release of Rosé coming from its 2 vineyards in the Piccadilly Valley (Adelaide Hills) – the Bizot Vineyard and the Summertown Vineyard. Terre à Terre is proud to present its second release of Rosé coming from its 2 vineyards in the Piccadilly Valley (Adelaide Hills) – the Bizot Vineyard and the Summertown Vineyard. The Bizot vineyard was planted in 1995-1996 with mostly Chardonnay (and a small parcel of Pinot Noir), and the Summertown Vineyard was first planted in 1987 with Pinot Noir and Chardonnay. Whilst some parcels in each vineyard are used for table wines, most of the fruit is used for sparkling. The 2017 growing season in the Piccadilly Valley was slightly warmer than average at around 1,350 degree days compared to the 12-year average of 1,235 degree days. Rain was frequent and helped to maintain vine health (no irrigation required in 2017). 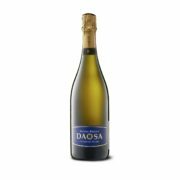 We hand harvested sparkling base Chardonnay and Pinot Noir fruit from both vineyards late March with excellent acidities for sparkling. The fruit was transported back to the Tiers winery and left to chill before it was whole-bunch pressed. The juice from the first 530L per tonne was used for sparkling, and the pressings were racked to a separate tank. The pressings had lower acidity, higher sugar concentration and higher colour than the free drain juice and, like in 2016, we decided to use these pressings to make our Rosé. After one month settling in tank, the juice from the pressings of Chardonnay (44%) and Pinot Noir (56%) sparkling base fruit was racked to old French barrels for fermentation. 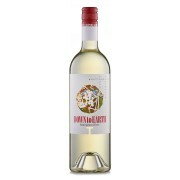 As it finished fermentation, the wine was showing great flavours (fresh berries) and good texture. We decided to leave the wine on lees for another few of months to improve the texture and flavours. 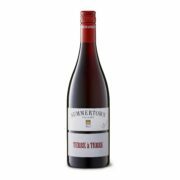 We also added a small amount of Summertown Vineyard Pinot Noir 2017 (50L). The wine was racked off lees in October and left to cold settle in tank for a few weeks, before being lightly filtered to bottle late November 2017. 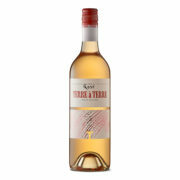 This Terre à Terre Experimental Assemblage release is a great example of rosé, with a very light colour. Even though it looks like a Provence rosé, it has more complexity than Provence rosé and is more similar in taste to Sancerre rosé, being made mostly from Pinot Noir, with a nice Chardonnay twist. 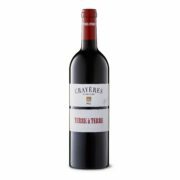 It has great texture and very appealing berry flavours, and is a great aperitif wine, event though it can accompany a wide range of food.